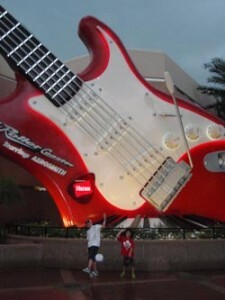 The Top 7 Must See Disney Attractions | Planning A Walt Disney World Trip? Planning A Walt Disney World Trip? Disney is like a magical wonderland to all who visit. Bursting at the seams with lively colors, larger than life characters, and sounds and smells galore, it can be hard to get your bearings when you first arrive and figure out what the best attractions are to help you jump start your day. That being said, I am going to go over the top 7 must see attractions available at the Disney theme parks to help start you off on the right foot! First up is Disney’s Magic Kingdom. The Magic Kingdom was the original Disney theme park and is now a staple feature in all Disney locations. The top attractions here are for the thrill seekers, namely the mountain roller coasters, Space Mountain and Splash Mountain. There is a third one, but those are the two most popular at Magic Kingdom. At Disney’s Epcot Center, it is really a bit like a constant fair. Featuring an around the world international pavilion it is a great place to try international cuisine and see many live shows. Probably one of it’s best attractions however is the IllumiNations fireworks show presented after dark over the lagoon. It’s beautiful and not an attraction you will want to miss! Disney’s MGM Studios has several great attractions, but one of the most popular there is the Tower of Terror. Once again designed for the thrill seeker, just making the trip to the tower is an experience in and of itself. And once you find yourself inside the elevator, plummeting in mere seconds a long free fall, you will understand the appeal and most likely want to do it again! Another very popular attraction at MGM is Jim Henson’s Muppet Vision 3-D, which is an excellent choice for the whole family. The spectacular technology coupled with the lovable Muppets make this attraction a must see for everyone. Finally, we have Disney’s Animal Kingdom, which is an amazing experience all on it’s own. It’s focus, while still having rides like a typical theme park also features an awe inspiring African animal safari. The two top featured attractions for Animal Kingdom are Expedition Everest, which is the first ‘true’ roller coaster available there and Kilimanjaro Safari. Be aware though, that Expedition Everest is for the real adrenaline junkie. The roller coaster tops out in speeds almost twice that of Space mountain, roughly 50 miles per hour, with some hair raising bends and turns. Kilimanjaro Safari is suitable for all ages, and basically you get to ride an open sided, safari truck across Harambe Wildlife Reserve. The ride can be a bit uncomfortable for some if you’re not into bumpy, but the rewards are well worth it. You will see spectacular wild animals like zebras, giraffes, elephants, flamingos, cheetahs, and baboons, just to name a few. And since animals are fickle creatures no safari ride is ever the same. You will see what you will see and next time around you could just see something amazingly different. Definitely a do not miss attraction of Animal Kingdom! OK, so that wraps up the top 7 must see attractions inside the 4 Disney theme parks. There are tons of other things to do inside each park, and tons of things to see, so don’t limit yourself to just one or two. It could in fact take you several days to wade through all the great things to see and do inside Walt Disney World theme parks, so you might want to just plan on taking your time and getting a 4 day pass or something similar. Trust me, you will have a blast! This entry was posted on Tuesday, July 6th, 2010 at 2:11 pm and is filed under Things to See. You can follow any responses to this entry through the RSS 2.0 feed. You can leave a response, or trackback from your own site.